Most of the mobile wifi device is slippery and frequently dropped from hands. To get released from the illusion Huawei E5770s pro made by using wallet design and leather texture plating. This is compatible to fit in your pocket. The hotspot device not only compatible and nice digested it has lots of good features. That’s why within short time Huawei E5770S 320 become a top seller product on the various market place. The Huawei E5770s review will help you to know find out more hidden feature of the mobile wifi and how to power up the device without a battery. Does it really work without the battery? Without battery how mobile hotspot working and does is really possible to boot up wifi hotspot without the battery? Yes, here Huawei E5770s review will provide you proof how the device works without a battery. The Huawei E5770S pro assembled with 5200 mAh battery and it works up to 20 hours on a single charge and standby over 500 hours. If you are a pro traveler than you may know about Ravpower filehub plus. The Ravpower filehub plus is a portable wifi bridge with Power Bank and they include 5200 mAh Li-ion battery in the device. But the Huawei E5770S also include 5200mAh battery for oneself. 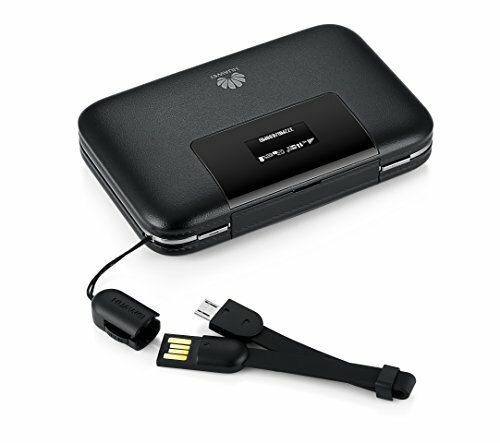 Huawei E5770s 320 mobile hotspot device also work without a battery. The user does not worry about an additional battery for the device. This is the first wifi hotspot that powers up without battery and you need only plug in the power adapter to your wall and press power button on the device. The Huawei E5770s support 3G and 4G almost every network interface. 3G, UMTS 850/900/1900/2100 MHz, and 4G LTE FDD 2100/1800/2600/900/850/800 MHz. It will bring download speed up 150 Mbps by using LTE cat5 and upload speed up to 50Mbps. HSPA+ 42.2Mbps download speed and upload speed 5.76Mbps. The Huawei E5770s assemble by non-removable 5200mAh battery. A lifetime of the battery is very cool it will serve you up to 20 hours backup in LTE 4G network and standby up to 500 hours. Behind the Clear Spot Voyager, the Huawei E5770S 320 4X battery life increases. Before we get real information from Clear Spot Voyager they provide battery backup up to 7 hours in 4G LTE mode. 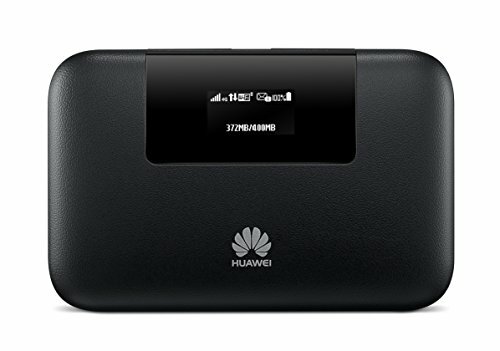 Here we get 4 times battery life increases the Huawei E5770s wifi hotspot. It will help you to add 10 wifi enabled devices at the same time within the devices and it has high potential Wi-Fi 802.11 b/g/n; WEP/WPA/WPA2 security for every user. The user will able to sharing document, media file, online gaming etc at the same time with all over the devices in the same network. There is lots of mobile hotspot manufacturer company and they produce a few hotspot device with 4 pin SIM card interface. Be ashamed the 4 pin SIM slot does not support every SIM card. Here the Huawei E5770s include 6 Pin SIM card interface that supported all the GSM SIM of the world. If you are a pro traveler you can use the wifi hotspot device anywhere around the world. The Huawei E5770s has a built-in Ethernet port that will help you plug in your broadband internet wire with the wifi hotspot and enjoy your broadband internet up 10 wifi enabled devices in your home. – 5200mAh non-removable battery and backup UP to 20 Hours in a single charge. This hotspot is pretty amazing for every international traveler. Who frequently travel several different countries he/she can use the internet everywhere with their own wifi hotspot. The Huawei E5770 has amazing battery life in 4G LTE mode up to 20 hours. It has a pretty cool display that indigent network signal and net frequency when and where I need to connect with my own wifi hotspot. I would highly recommend this to anyone who likes to travel and enjoy having wifi wherever he go. Here we Compare the best two Similar wifi hotspot devices. That will help you choose your best mobile hotspot. Battery and backup UP to 20 Hours in a single charge. Save time and money; enjoys high-speed internet anywhere in the world. You might stop to thinking but Huawei E5770s will give you everything. why do you waste time to make an order today?